Loko sporting director, Erik Stoffelshaus, returns to his old stomping ground for the first time since leaving Schalke as the Gelsenkirchen-based team arguably face a second “derby” in under a week. The Germans lost against Bundesliga leaders Borussia Dortmund in the Revierderby at the weekend, but now in the “Stoffelshaus Derby”, Erik returns to the club he ran for the first time since being relieved of his duties in 2009. The home side can only finish second and the pressure is on domestically, so Italian manager Domenico Tedesco has confirmed he will change the side drastically. Loko, however, can still qualify for the Europa League after the surprise 2-0 victory over Galatasaray in the last week – if they better the Turks’ result. Away from home, Yuri Semin would likely have liked to line his side up with a strong back-three of captain Vedran Corluka, Saba Kverkvelia and European veteran Benedikt Howedes – however, as Corluka is suspended, expect a flat back-four. Loko will look to soak up pressure and hit teams on the counter, as they have done (generally unsuccessfully) throughout the whole of their European campaign so far. They will be boosted by the return from injury an form of Fedor Smolov and Jefferson Farfan, whoever starts is of obvious much higher quality then Eder and will be a much more potent attacking force on the counter, either with Farfan’s raw physicality and pace in behind or Smolov’s incisive finishing and smart running down the channels. The Peruvian may also start on the wing to provide much more attacking intent after his two goal haul at the wekeend overturned a defecit at home to Orenburg. Schalke’s lineup and formation will both be difficult to predict such is the level Tedesco is expected to tinker with his formula to find a successful attack. Loko will be best at just lining up their very best and hoping for a real turn around. Captain Vedran Corluka is suspended for the crucial away leg after picking up his third yellow card of the competition against Gala. Benedikt Howedes will likely partner Saba Kverkvelia in the middle of defence as a result. Nikita Medvedev is still out injured, while Boris Rotenberg Jr and Aleksandr Kolomeitsev are both doubts. Of course the headlines in Germany will feature Howedes and Farfan, who played respectively for ten and seven years each at Schalke. However, Loko’s key players will be Igor Densiov and Fedor Smolov. The former was a large reason as to why the Railwaymen won the league last season, with his commanding and mature performances anchoring Semin’s midfield had many calling for the divisive figure to be involved in Stanislav Cherchesov’s squad for the home World Cup. However, his meteoric influence was drastially waned this season – along with many others in Semin’s squad. His recent performance against an out-of-sorts Spartak was a particular low. Smolov has likewise struggled this season, both for fitness and form. He has only started ten games this season, but has still managed a respectable four goals considering his struggles. Smolov wil return to form soon, his runnung between the lines and finishing is still among the strongest in the whole league. Hopefully for Loko, that will come in Germany. 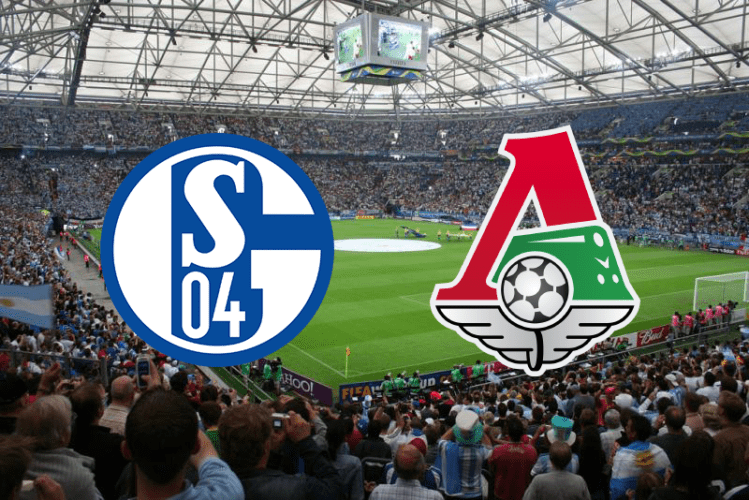 Lokomotiv may have given themselves a lifeline last week, and now face a Schalke side with just one win in their last five. However, the Railwaymen themselves have suffered from a serious lack of consistency this season, while marque signing Smolov has struggled for both form and fitness. Tedesco will experiment while Semin must go for his strongest lineup, however, a result away in Europe has eluded Loko thus far, losing their last three on the road – expect this form to continue.